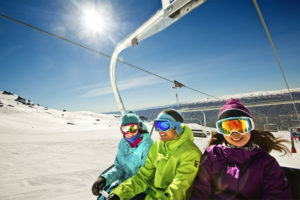 Winter in Queenstown adds an exciting variety of activities for all adventure levels. Info & Snow offers customers flexibility, knowledge, experience, passion and pure fun. Our friendly, knowledgeable consultants are available seven days a week, 7:30am to 8:30pm, by telephone, email and in our store at 37 Shotover Street. Talk to us and enjoy a snow adventure. 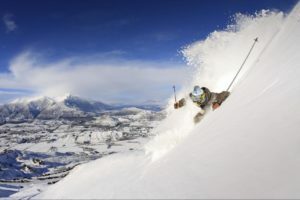 Comprehensive ski services covering, equipment, clothing, lessons, transfers. 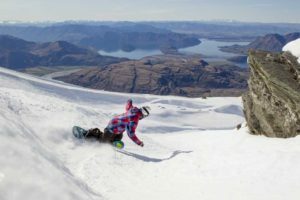 Info & Snow has services to all four ski fields in Queenstown as well as the cross country skifield, each offers something a little different, our experts with their experience can put you on the right ski resorts with the right snow package. Advanced services expand the choices of adventure to include heli-skiing, snow-shoeing, glacier skiing, photo safaris, family adventures and snow experiences. With a fleet of vehicles second to none in Queenstown, Info & Snow will deliver you and your party in style, courtesy and punctually. New vehicles, variety of configurations, sizes to suit the party size and options that are flexible to your personal preferences, we will convey you there and back again. For family, friends, discerning and private requests we have a fleet of 4WD Land Cruiser vehicles that each hold six passengers, driven by an experienced mountain guide, available at your request. Additional on-mountain guiding services are available, off-mountain activities, private tours, diner transfers along with a range of Queenstown adventures to make your alpine adventure truly memorable.